"It is well known that corporate CEOs and the wealthy are trying to convince the Supreme Court to side with them in the Janus v. AFSCME Council 31 decision which is expected any day. These greedy corporate interests think they are going to destroy labor unions by convincing hardworking Americans to quit on getting better wages, health care and benefits, but they are wrong. Here in New York, Governor Cuomo has already taken monumental steps to make sure unions are stronger than ever. Governor Cuomo stands united with us in this fight. He has stood side by side with us to secure legislation that will keep public sector labor unions strong in New York. I proudly endorse Governor Andrew Cuomo for re-election. I have said on many occasions when the Governor does right by CSEA, then CSEA will do right by the Governor. 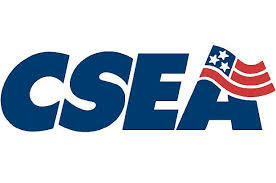 I applaud the Governor for his steadfast support of CSEA and all of labor," said Danny Donohue, CSEA President. "The members of CSEA are the backbone of critical government operations - these hardworking public employees deserve a right to collectively bargain and organize. New York will never give in to wealthy corporate interests over the rights of our union brother and sisters. I proudly accept this endorsement and will fight shoulder to shoulder with CSEA to protect their members' rights and the rights of all of organized labor," said Andrew Cuomo, Governor of New York State. "CSEA has been around for more than a hundred years and we're here to stay, thanks to our hardworking members, our supporters like Governor Cuomo and many others. Stay union. Stay strong!" said Donohue.